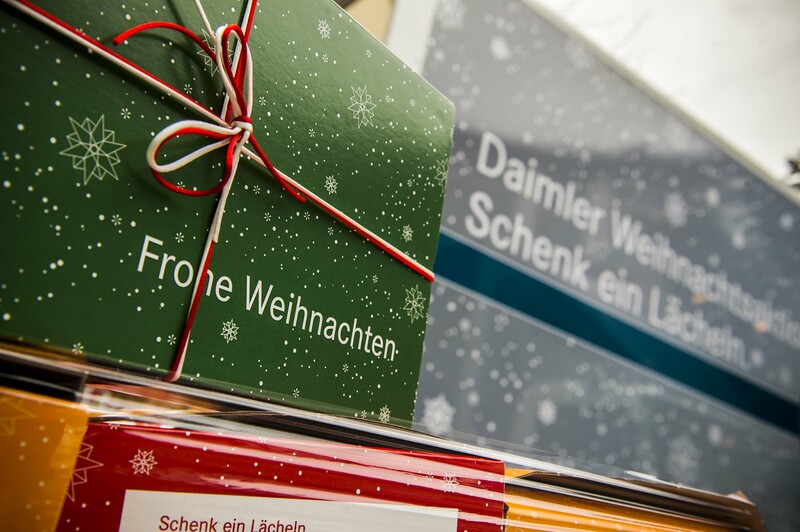 Daimler employees bring a sparkle to the eyes of countless children.Together with charitable organizations, they are giving gifts to children from socially disadvantaged backgrounds and the children of refugees. A puzzle, coloring book and colored pens, a glittery eraser and a generous helping of candy for the festive period – these are the kind of things that can be found in the colorful, star-patterned boxes. During their lunch breaks, Daimler employees at for example the Sindelfingen plant and the locations in Stuttgart come in their droves to deliver their lovingly packaged containers to the "Give a Smile" truck. In 2015, more than 15,000 boxes were packed and will hopefully bring joy to lots of children who would otherwise often have nothing under the Christmas tree. Every year, more and more locations and plants are participating in the Christmas campaign, which was launched in 2008 by Daimler Financial Services and has now also been run at group headquarters since 2010. 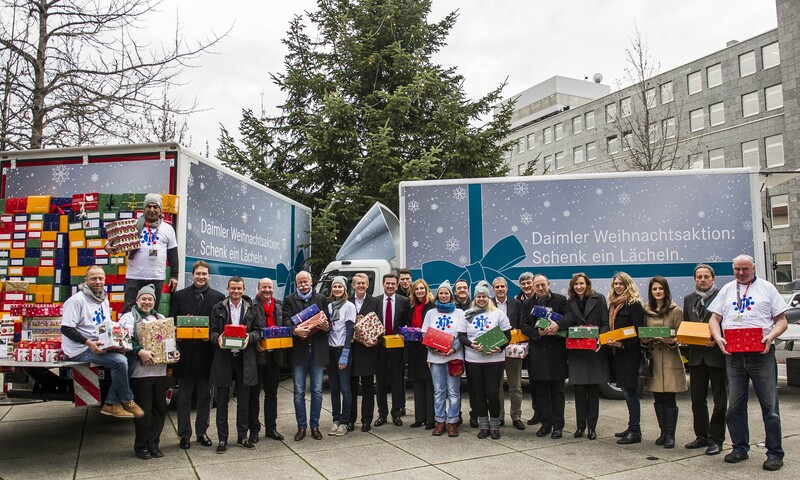 In order to ensure that the packages are also delivered to the children in time for Christmas, about two Give a Smile Trucks tour the Stuttgart region, collecting gifts with the help of employees and delivering them to Schwäbische Tafel e.V. Schwäbische Tafel e.V. then distributes the packages to its stores and to the refugee shelters, where they hopefully bring smiles to a lot of faces.